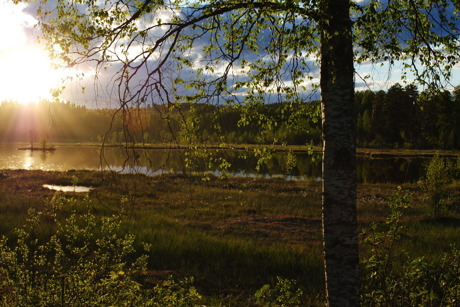 Here you experience everything or nothing. 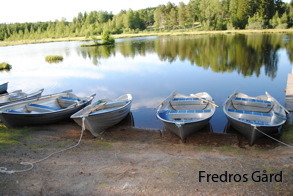 You can fish in our waters, go hiking or cycling in our beautiful surroundings, or take a snowmobile tour on sparkling winter snow. 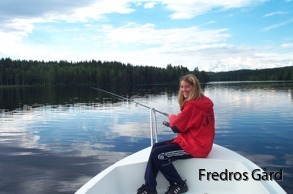 We offer activities all year round and always do our utmost for you to get the best time possible on Fredros Gård. 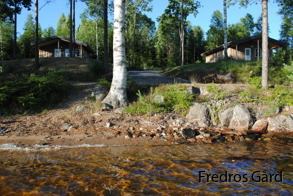 We also have a close collaboration with Fredros Nature Adventure and Treens Camping, who offers both a spectacular conference site and a beautifully situated camp site. 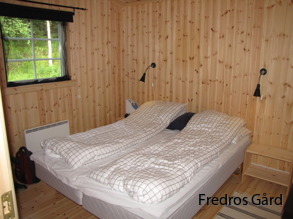 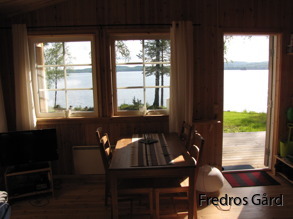 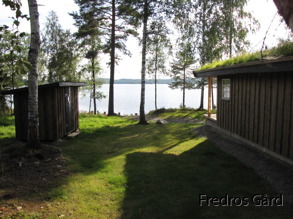 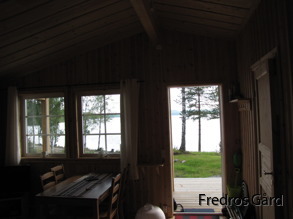 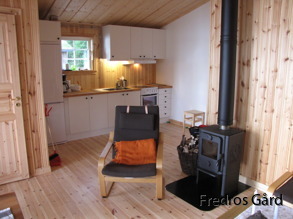 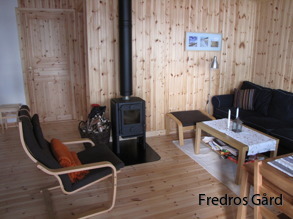 Fredros Gård is a family company that has existed since 1995, and has always been profiled as an ecotourism company - for nature in nature! 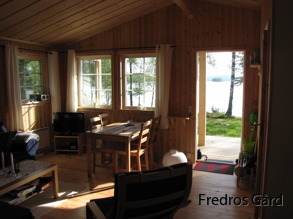 Our key words are hospitality and availability. 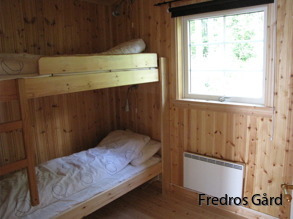 We simply want our guests to feel welcomed and to be noticed! 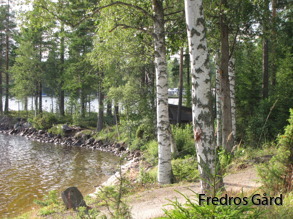 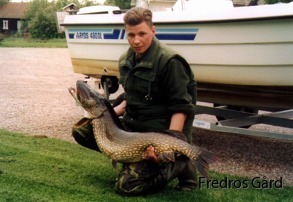 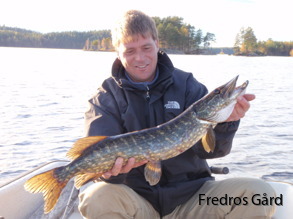 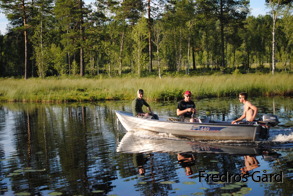 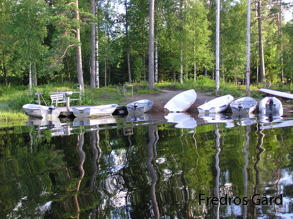 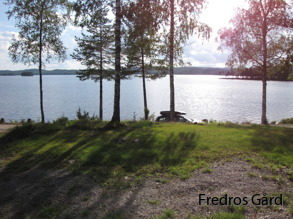 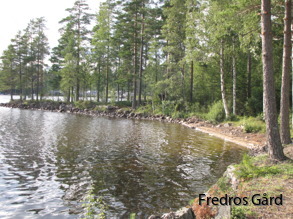 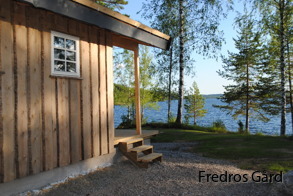 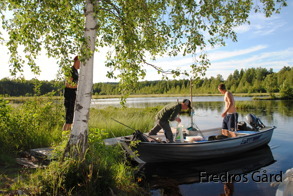 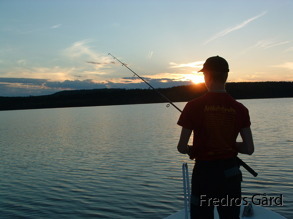 Fredros Gård has focused primarily on attracting fishermen, and we are proud to have a very good reputation amongst Swedish, Nordic and European anglers! 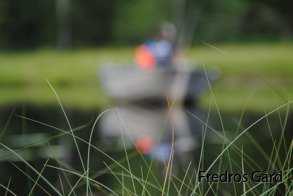 However, we want to broaden our business to include more families with children, who might want to catch their first fish and at the same time experience nature as a whole - by bike or by foot.